Stress is something we've all experienced, whether it is school, work, social pressure, family expectations, etc. The list goes on and looks a little different for each us. The pile of suggested solutions or coping mechanisms available can be even more confusing. Lavender oil is supposed to be relaxing, but what if it gives me a headache? Should go running, but what if I twist my knee every time I hit the pavement? I should pray for help, but how do I even do that? What should I expect? And when will I start feeling better? Some people grow up in more stressful environments than others which can lead to difficulty handling stress as they get older. For others, they react to stress by emotionally shutting down and/or dissociating from their surrounding environment. Some may get physically sick from stress, and for others still, they may turn to destructive behaviors—like substance abuse, self-harm, or other addictions—as a way to cope. There are just as many ways to react to stress as there are "stressors" themselves. Not many versions of the Bible use the word "stress," though it does mention a closely related term: worry. Probably the most well-known passage about worry is Matthew 6:25-34 (ESV). Look at verses 25-27: "Therefore I tell you, do not be anxious about your life, what you will eat or what you will drink, nor about your body, what you will put on. Is not life more than food, and the body more than clothing? Look at the birds of the air: they neither sow nor reap nor gather into barns, and yet your heavenly Father feeds them. Are you not of more value than they? And which of you by being anxious can add a single hour to his span of life?" The anxiety spoken of in this passage translates into "worry" in other versions of the Bible (HCSB, NIV, NKJV, NASB). It is important to note that Jesus is not condemning the chemical imbalance of anxiety disorders in the brain (read what the Bible says on anxiety). Instead, Jesus is teaching us to focus on God's love and promise to take care of us even down to our most basic day-to-day needs. It's easy to think God only takes care of us in crisis, but the truth is He provides for and protects us each moment of every day. Jesus continues to give examples of God's provision in Matthew 6:28-33, ending on a summary in verse 34, "Therefore do not be anxious about tomorrow, for tomorrow will be anxious for itself. Sufficient for the day is its own trouble." It is impossible to worry about everything in the day without building up stress in our lives, which in turn lowers the immune system and general health, making it even harder to handle things. And not being physically able to keep up with the needs of day only makes stress symptoms worse. It's a snowball effect. Many people are prone to finding things to worry about all on their own. Add in parents pressuring for perfect grades or perfect behavior, plus peer pressure to keep up with all the in trends, parties, and opinions, then it's no wonder that so many people struggle with physical and mental problems stemming from stress. Worrying is not a sin. When it comes to worrying, Jesus isn't trying to shame us into not worrying. Instead, He is saying it is unnecessary to hurt ourselves in this way. He is offering relief from responsibilities that are not ours. While it is our responsibility to make the wisest choices with our time, opportunities, and resources, we need to realize that we are not responsible for the end results. It is not your responsibility to win a contest. It is not your responsibility to ace every test, even if it is your responsibility to study. It is not your responsibility to make your peers happy, even if it is your responsibility to treat everyone with kindness and integrity. Do you see the difference? Paul wrote in 2 Corinthians 12:9, "But he said to me, 'My grace is sufficient for you, for my power is made perfect in weakness.' Therefore I will boast all the more gladly of my weaknesses, so that the power of Christ may rest upon me." Many times, stress stems from us seeking so, so hard to do everything in our own strength. But Paul reminds us that true strength comes from God Himself. 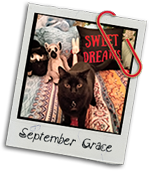 Our imperfections are beautiful opportunities for God's grace to shine through the cracks. God knows life can be stressful for us. Jesus said life wouldn't be easy (John 16:33). And yet, not all stress stems from "simple" worry either. 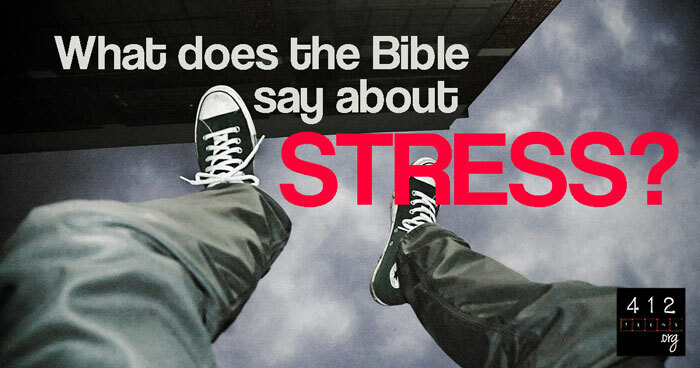 Many people in the Bible underwent stress even while turning to God. David wrote multiple psalms crying out to God in pure anguish while he was being hunted by his own father. Jesus Himself poured out His anguish to God in the Garden of Gethsemane before His crucifixion. Job underwent countless trials and betrayals and physical afflictions to the point of deep despair. Today, many people struggle to overcome pasts of abuse, mental health problems (and the stigma that comes with them), and enormous family tragedies. To be stressed is not sinful. God does not promise that life will be smooth if we turn to Him, but He does promise to be our Rock and Provider through rocky seasons of life—long or short as they may be (Psalm 18:2; Romans 5:1-21). There is nothing too little or too great to bring before God. Whether we are scared to stand up in class to give a speech, or go to the grocery store for the family, or suffering (or recovering) from a string of abusive environments and relationships, stress is going to happen. When all is said and done, the Bible offers more hope than an escape from stress. Instead, it offers promises of provision in light of any degree of difficulty in life (Matthew 11:28-30). Yes, life is hard, but Jesus has overcome the darkness. Yes, life is hard, but our God truly wants to hear from us and truly cares for our hearts. To be stressed or worried is not sinful. God does not promise that life will be smooth if we turn to Him, but He does promise to be our Rock and Provider (John 16:33; Psalm 18:2). The Bible offers more hope and promises of provision than an escape from stress. Yes, life is hard, but Jesus has overcome the darkness. Our God truly wants to hear from us and truly cares for our hearts. Do not be anxious about life, for that worry is unnecessary (Philippians 4:6-7). Jesus offers relief from responsibilities that are not ours (Matthew 11:28-30).